In 2003 we removed our 8-stage chromate pre-treatment system, operated to BS6496 and adopted an alternative Qualicoat approved system. Due to our reputation with a large box oven, the sizes of the work we were asked to process were larger then our pre-treatment tanks. The replacement pre-treatment incorporates chromate solution in an acrylic resin, which encapsulates the treated metal. We are now able to pre-treat and powder coat large aluminium components as long as they will fit in our box oven 11m x 4m x 3m. Polyesters are not as impervious to moisture as was once thought. The Tri-Resin Powder Coat System is a coating system involving three different paint resins to seal the metal against moisture that can permeate through one coat of paint. This thicker coating is more aesthetically pleasing producing a thick luster finish. 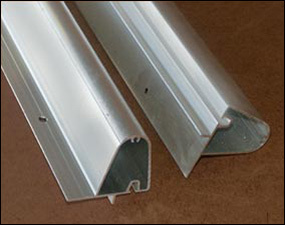 The Tri-Resin System has been used on aluminium window frames to 9m footbridges. 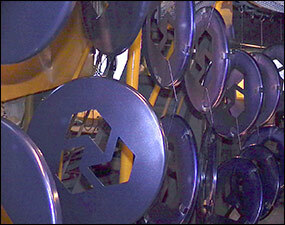 Aluminium: this includes aluminium sheet, aluminium panels, aluminium extrusions and aluminium fabrications.